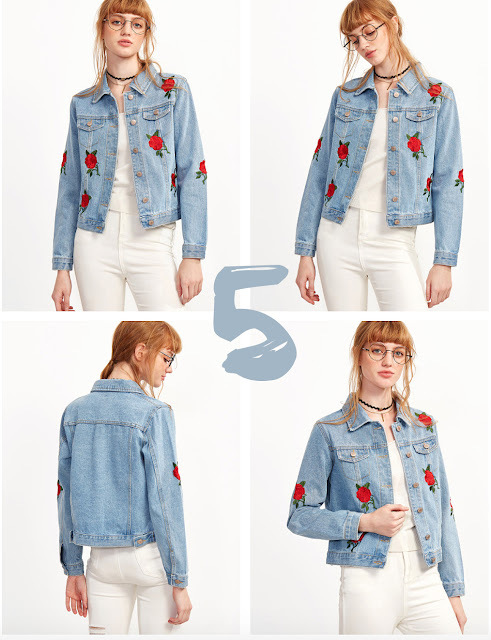 Have you noticed how many cool stuff has Shein.com lately? 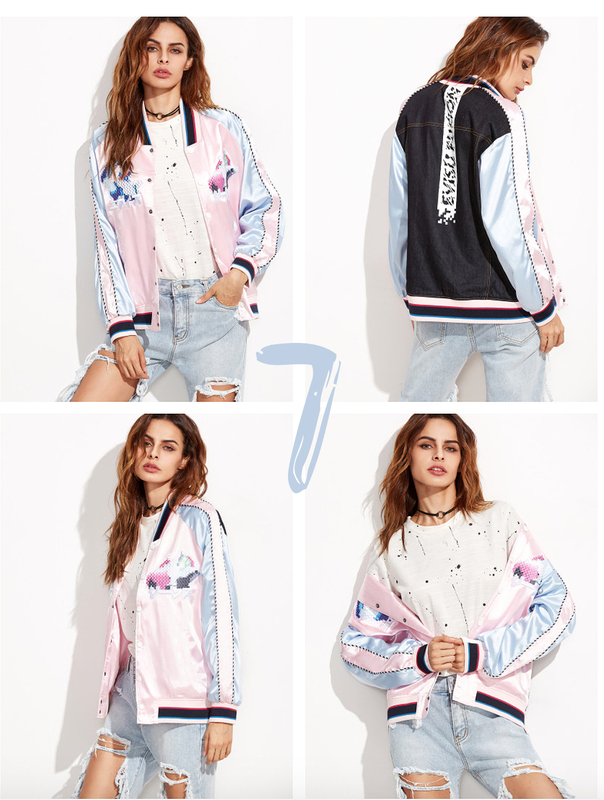 Of course, they always display an amazing array of latest street designs, but this time all these jackets and bombers caught my eye immediately! Sadly to say, summer is almost gone (at least in London, can’t complain, it’s still not that bad), and that leaves space (l-e-a-v-e-s) to Autumn! I actually like Autumn too, so can’t complain here either. What are your autumn faves or autumn wishlist picks? It’s dark, grey and denim! Army + Patches: a win! Ice blue and distressed: a match! This marshmallow pink is just so cute! Baby blue and baby pink are amazing + a touch of black! Love this black denim + it’s distressed!